Product Information : This is an intermediate height goatsbeard with feathery, large, creamy white plumes produced on dark red stems in early to mid summer. 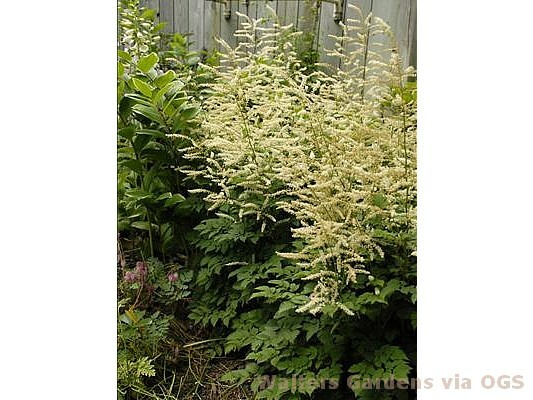 Foliage is compact and astilbe-like. Both heat and cold tolerant.